These surgeries, among many other non-documented injuries, are the result of brutal training along with unparalleled work ethic and determination netting eight Mr. Olympia titles, one Arnold Classic Title and 26 professional victories, the most of all time. The most popular questions these days having hindsight at 51 years old are very typical… was it worth it and would you do anything differently? What kind of maniac says that after knowing that it would result in six surgeries plus all of the pain and recovery time that come along with them? Someone who would rather die than be anything other than the best they could possibly be. That’s honestly what it takes to be called the greatest of all time. He didn’t just leave it all in the gym and on stage. He had just as much dedication and passion for his fans. He inspired millions around the world, still inspires today and will continue to do so long after he is gone. Ronnie set the bar not only in the gym and on stage but also in how he handles himself in daily life. The highest compliment comes from those who he competed against during his career, or as he would call them, his “brothers in iron.” When the guys you have battled against for the same prize admit without question that you are the greatest of all time, then you truly deserve that title. At the 2013 Mr. Olympia, Ronnie was backstage for the first time since his last appearance on stage in 2007. As all of the competitors started getting ready, Ronnie sat in a chair waiting for his media portion of the broadcast to begin. (Probably posting how his arms grew .01245 inches on IG) Once they started noticing that he was backstage, every single competitor came over to shake his hand and say hello like he was the Godfather. A few were actually meeting him for the very first time, and it was like they forgot that they were competing for the greatest title in the world. That is true respect and the sign of a living legend who did it the right way. 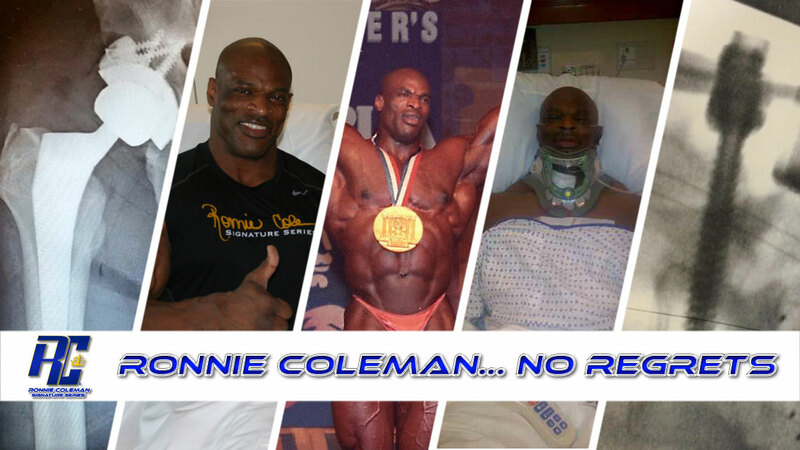 Ronnie still continues to give this industry everything he’s got through his supplement company, Ronnie Coleman Signature Series. Providing quality and trustworthy supplements was something that was very important to Ronnie when he started RCSS in late 2011. It also has allowed him to stay connected to the fans. He has gone on countless tours all over the world, traveling a minimum of 300 days each year handing out pictures and autographs for free. 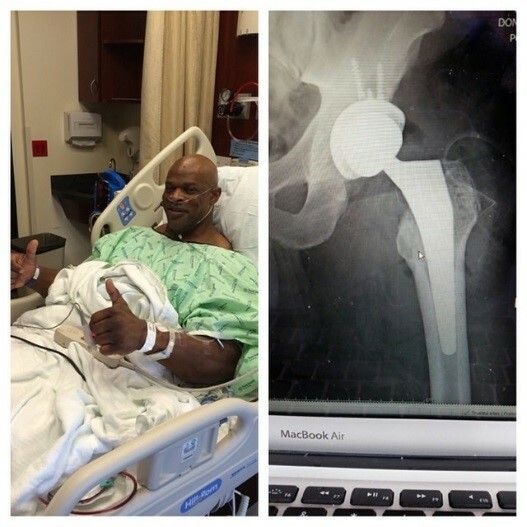 He completed grueling tours that took him all over the US, to Canada to Australia without a break when he really needed to have those hip procedures mentioned above. Ronnie, against everyone’s advice, pushed forward while in tremendous pain, which required him to do the final appearances on the schedule in a wheelchair. He reason why was simple. “I promised everyone I would be there, so I wasn’t going to let anything stop me.” Below is a post Ronnie made in reference to this situation. This is how you live your life with no regrets.